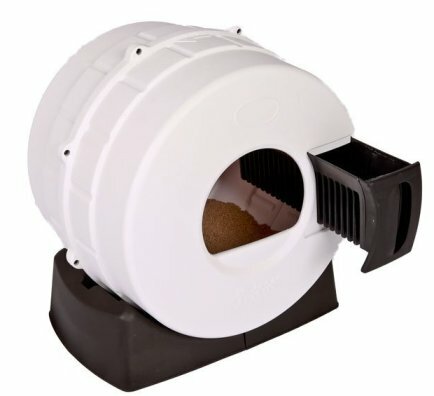 Litter Spinner Self-Cleaning Litter Box Review - Is This A Good Solution? 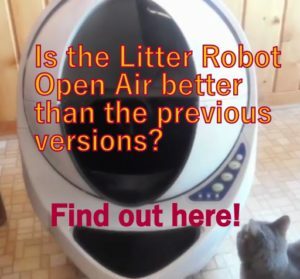 (2.7/5)Litter Spinner Litter Box is a manual spinning cleaning litter box system that collects the waste by rotating the unit and sifting the litter through an internal tray-grate to separate waste from clean litter. 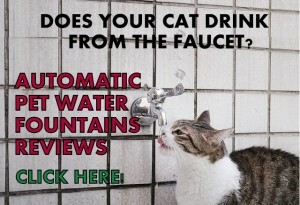 With this system you don’t have to scoop the litter box anymore. 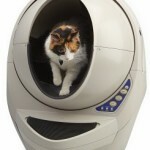 The Litter Spinner provides cats a covered and private area to do their “business”. 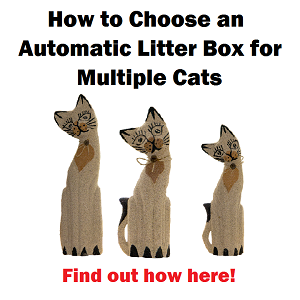 It works with any clumping litter and it comes with a clump stick to remove attached clumps. Made of 100% recycled polypropylene. Dimensions when assembled: 18″ W x 20″ H x 14.5″ D.
To clean the Litter Spinner simply put your hands on top of the drum and spin the unit a little more than one rotation, making sure to bang on top a little bit to allow any litter out. 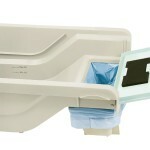 Cat waste is divided from clean litter though a drawer-screen system inside the unit. The process is similar to other brands but the Litter Spinner has its own base to spin over. Then spin backwards to the original position to even the litter for the next use. Remove the tray and the waste, put it in a trash bag and dispose it. For the unit to spin the top of the base features wheels. The black base helps the litter box to stay put and stable for the cat to use it. What are the Pros & Cons of Litter Spinner? The drawer that collects the waste gets stuck in the litter box and it is hard to pull it out. When feces are very small, the grate does not catch it all. Cat clumps get stuck on sides of the box and the provided clump stick is too small to remove it. Entry opening is rather small for big sized cat. The waste drawer needs to be emptied often (the drawer is narrow). 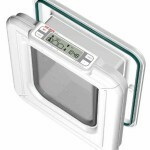 When putting new litter make sure not to exceed the filling mark inside the unit otherwise it will be too heavy to spin and the screen won’t be able to catch the waste properly. If not assembled correctly, the Litter Spinning litter box won’t operate properly so make sure to fully follow the instructions. Place a mat or a bag under the tray when pulling it out. Fill with new litter regularly or the waste will reach the bottom and sticks to it. 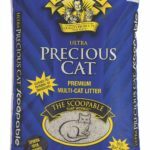 Good clumping litters are Scoop Away, Precious Cat Problem Training Litter. The Litter Spinner works as advertised in the sense that it collects the cat waste by spinning the unit. 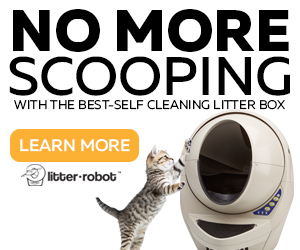 However, this cat litter box does not work properly when pulling the tray containing the waste; it is hard to pull it out and it makes a mess with spilled litter on the floor when doing it. 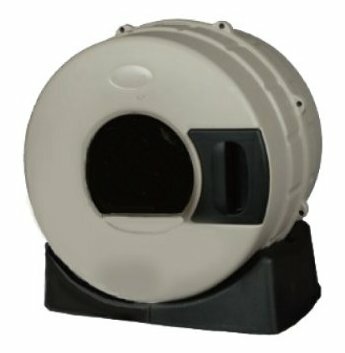 Customers mention that the Litter Spinner litter box is rather small even for an average sized cat but it could be used with no problem for cats that do their “business” with the head outside the litter box. 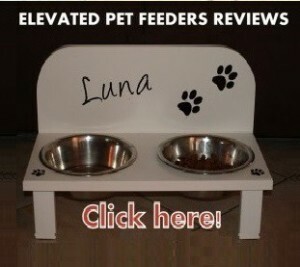 Young cats that can adapt better to this litter box’s system than older cats. As every cat litter box it needs maintenance, so you have to disassemble the unit every two weeks or so to wash it, depending on how often the box is used. 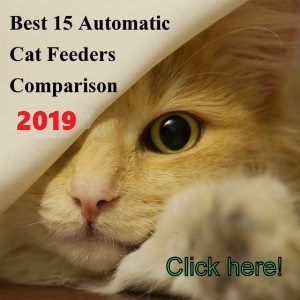 For these reasons, pros and cons and customers reviews, the Litter Spinning cat litter box is not as desirable as other spinning units. 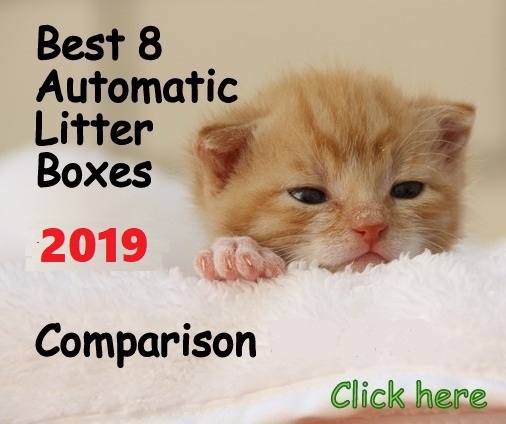 However, this cat litter box might work with a small cat, using a very good clumping litter and spinning the litter box often.